It's now been a while since I built my Croix de Fer, at this point I've put probably 1000km+ on my frameset. 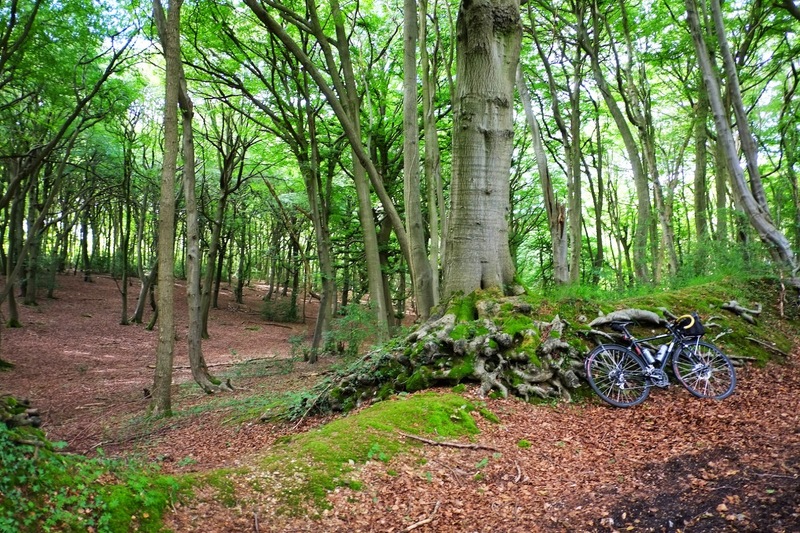 At this point I've ridden it in mud through Epping forest, through The Chilterns and the New Forest. In short, I've put in quite a lot of time on this bike in lots of different conditions, and now I think I have a pretty good idea what it's like. I purchased the 2014 model Croix de Fer, the difference from the earlier models is subtle, the biggest difference being that the rear disc mount is inboard on the 2014 model which makes rack mounting a lot easier. Also this means that the rear brake cable is routed along the downtube to suit. 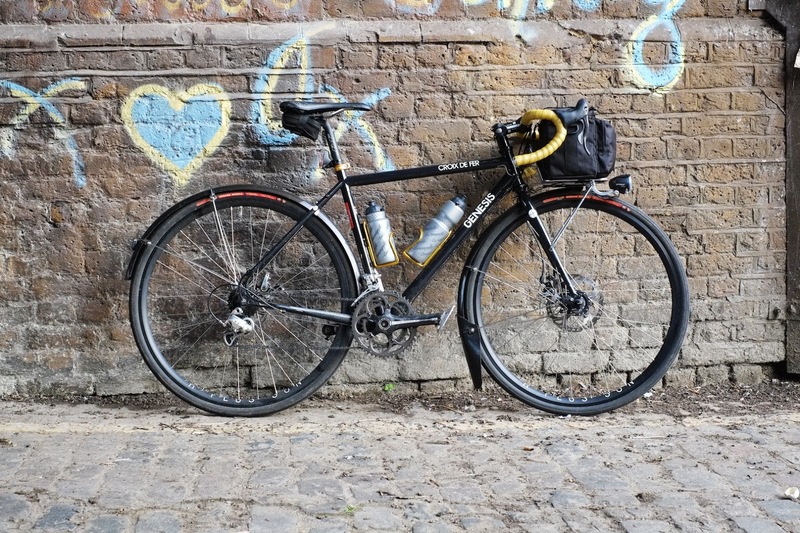 Originally I set out to build a versatile bike that combines qualities of a road racing bike and a cyclocross bike with the practicality of a tourer, like a modern version of a Randonneur style bike. This category is becoming increasingly popular with manufacturers, whether it goes under the guise of cyclocross or "gravel bike" the basic idea is that most people don't race and just want a versatile ride that can handle most things. In the end I chose the Croix de Fer because the frameset met this criteria, additionally I had to have a bike with disc brakes as I see these as superior to caliper brakes, particularly for bikes with fatter tyres. 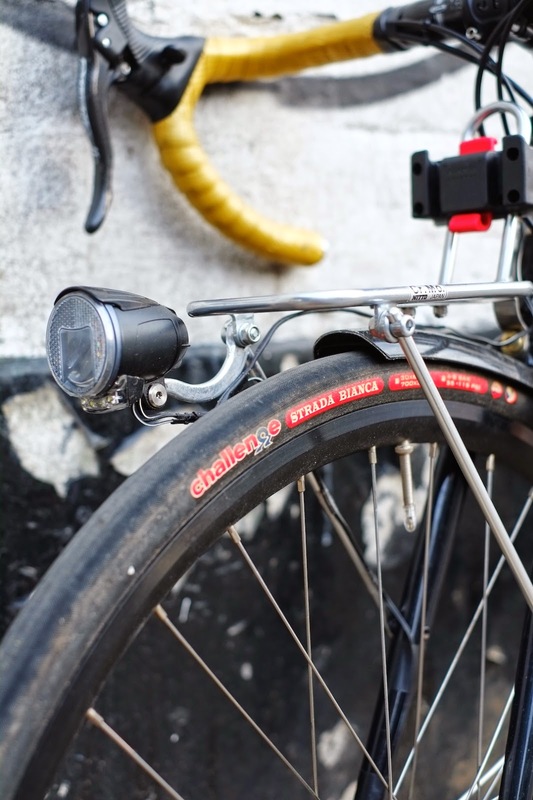 My requirement is that the bike would have to be able to fit 32c tyres at a minimum, to allow fitting cyclocross tyres for some off road jaunts and then be able to fit slicks for road riding. The Croix fits this mold perfectly, compared to other similar framesets like the Kinesis Tripster, the Croix is slightly more road biased with tighter clearances around the tyres and a lower more aggressive posture with its short head tube. 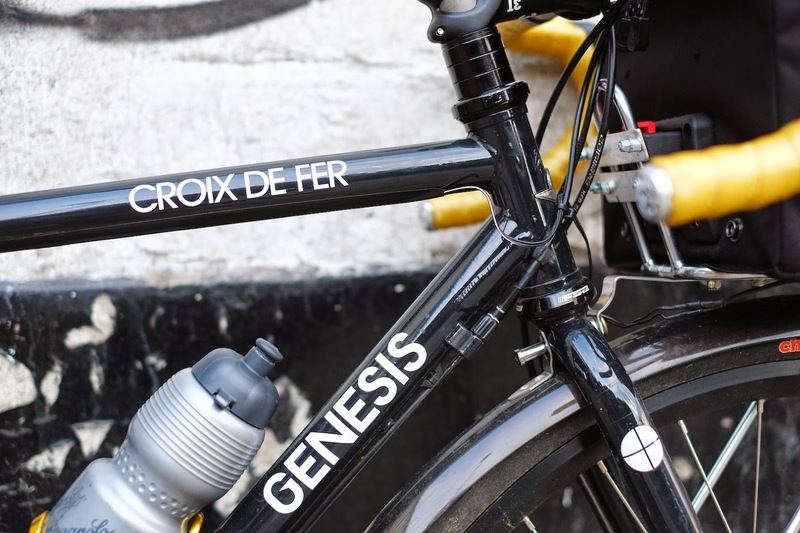 The Croix de Fer is a welded steel frame made in Taiwan from Reynolds 725 tubing, it features mounts for disc brakes, rackmounts and lowrider mounts. This allows for a lot of versatility and means it could serve for brisk road rides as well as light touring. 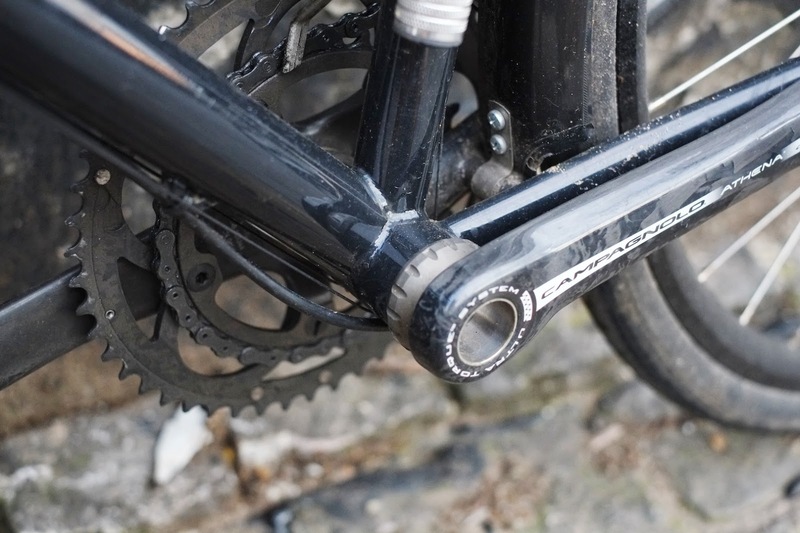 Part of the reason I chose the Croix de Fer over other framesets was that it had standard fittings, the bottom bracket is standard 68mm BSA threading, the headset is standard 1 1/8" threadless. 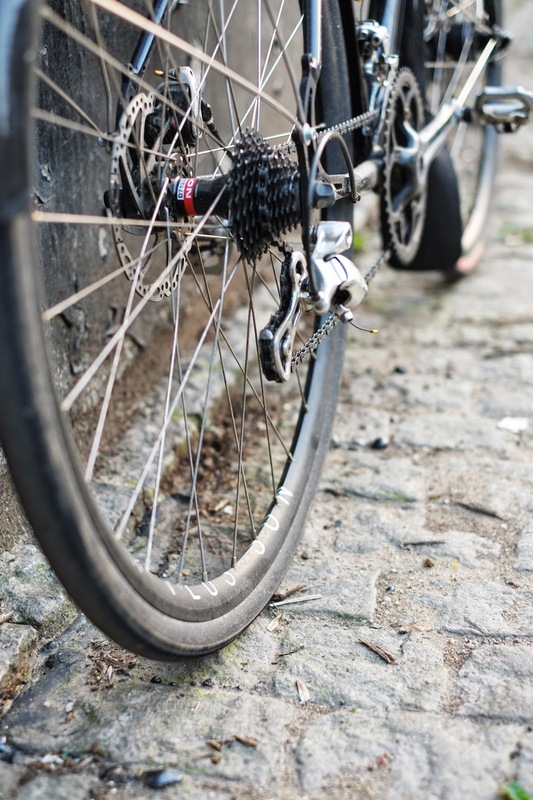 As the bike industry is currently filled with many proprietary standards for headsets and bottom brackets, this is a positive as there will likely be replacement parts for a long time to come. 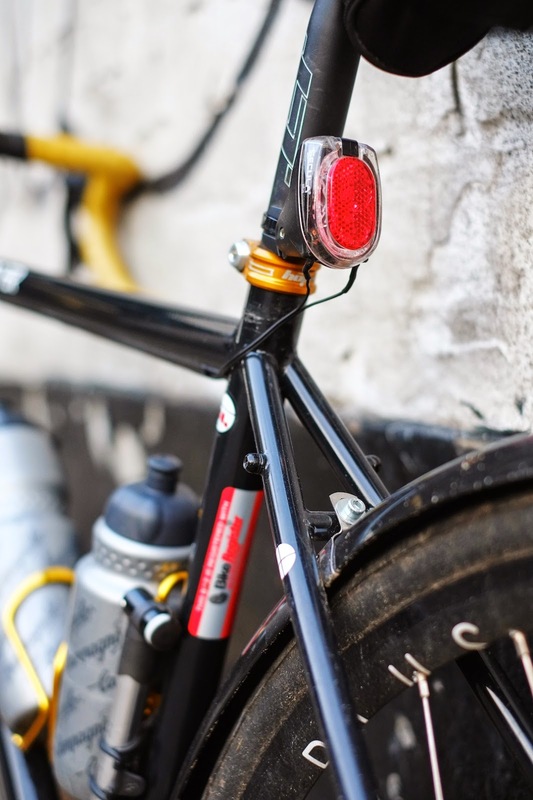 I'm particularly wary about integrated headsets as there is little standardisation, and certain designs mean the bearings wear directly into the frame rendering your head tube (and frame) useless after some time. 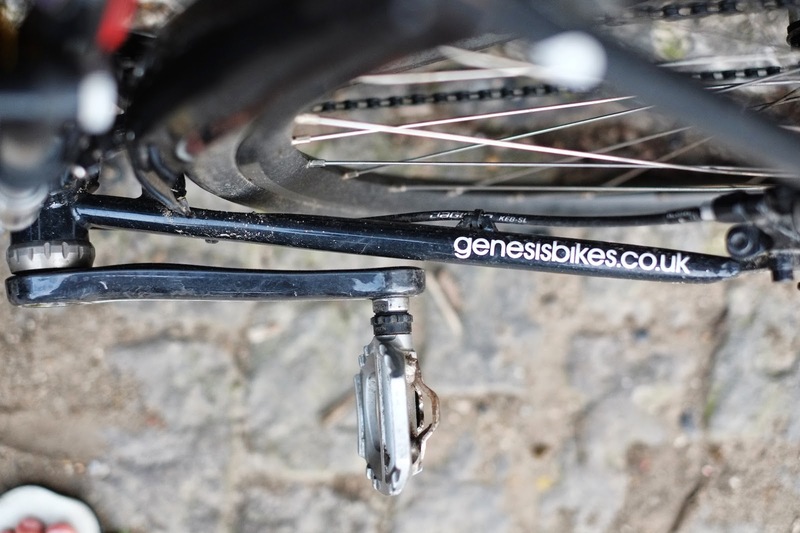 The forks are a welded straight bladed steel unit with lowrider mounts, although the fork isn't as nice as the lugged unit of the Genesis Equilibrium it does its job well with a minimum of fuss. 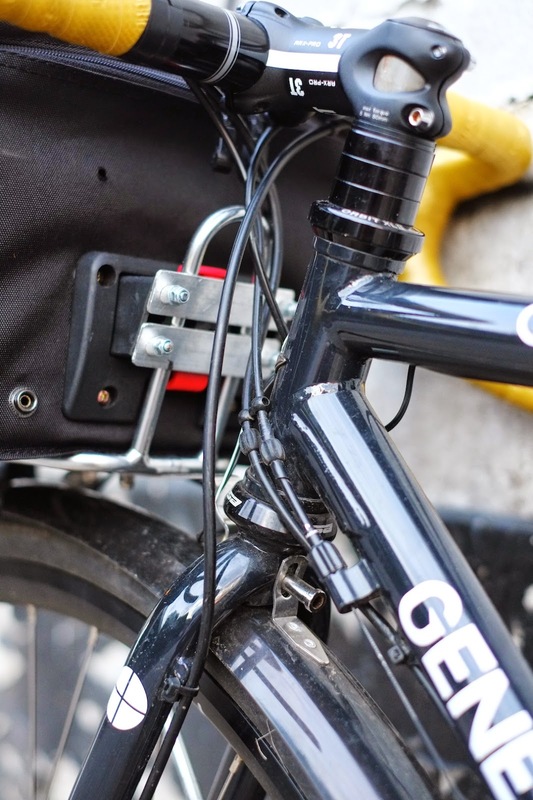 Notably the rear dropout design on the Croix is unique, being a solid laser cut unit with inboard rear disc mounts which makes fitting a rack a doddle. The tubing is oversize steel, and the joints are neatly welded, the paint finish is a slightly off-black finish. 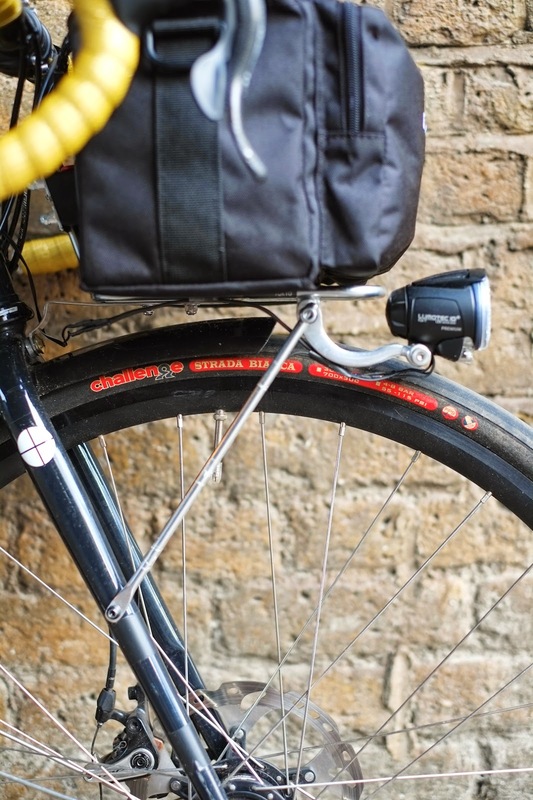 There are some nice little details like the forward facing slot on the seat tube collar, presumably to protect it from dirt from the rear wheel. Otherwise the frame itself has pretty standard geometry for a laid back road bike, the wheelbase is a little longer and the head angle is more relaxed at 70.5º. The tyre clearance is 32mm tyres with mudguards and 35mm without, however I've managed to fit 34mm Schwalbe Smart Sam knobblies underneath guards although I wouldn't recommend this as the clearances are minimal, particularly under the fork crown. 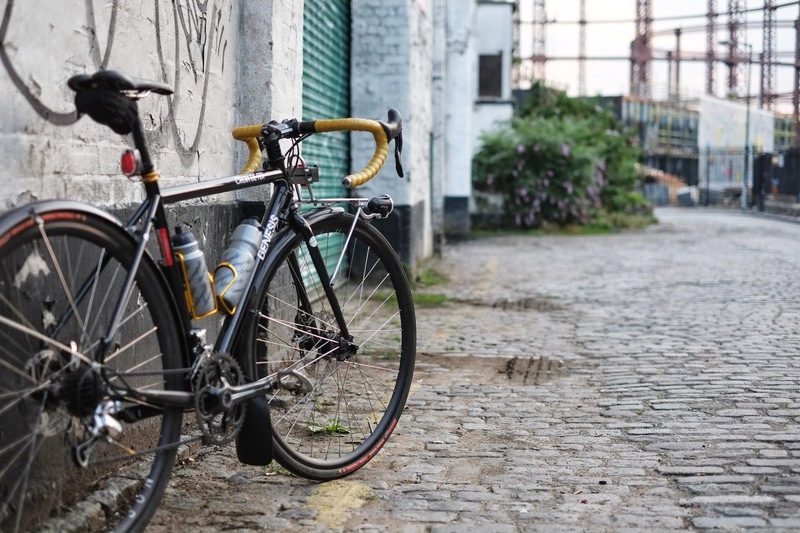 I've ridden and owned a lot of steel bikes, most of them have been traditional lugged steel road bikes. 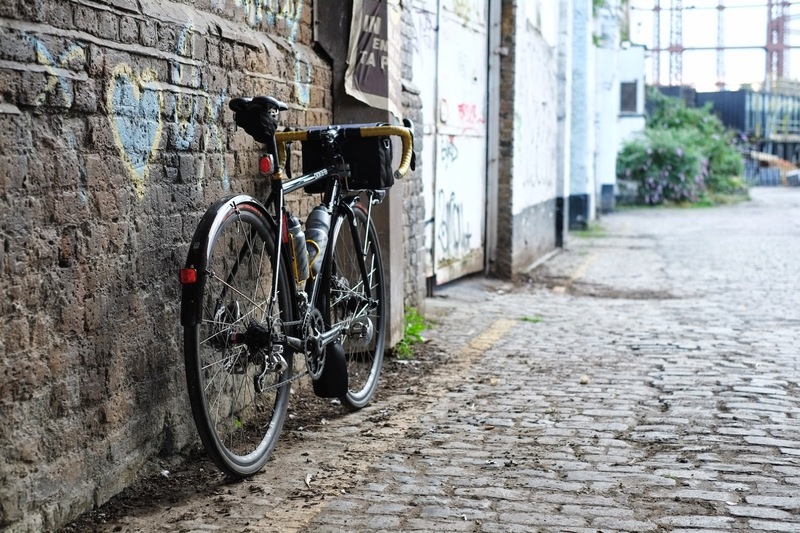 Traditionally, people often write about the feel of steel bikes, how they give a hint of flex that allows all day rides to be a comfortable affair. 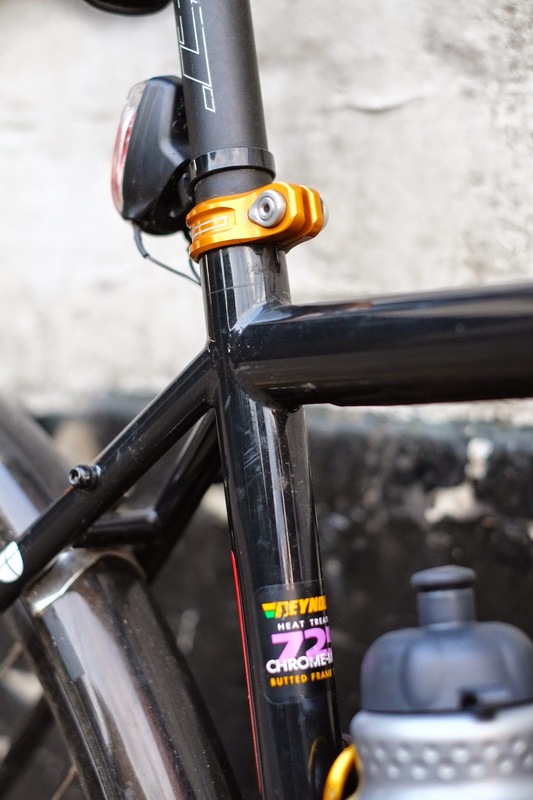 The Croix is somewhat different to this, partly because of the more modern oversize Reynolds 725 tubing as well as the welded joints; this lends a significantly stiffer, stronger feel to the frame compared to a traditional lugged steel frame. Despite this stiffness, it still feels somewhat more forgiving than a full alloy bike, like the Cinelli Xperience that I used to own. Subjectively I don't feel much flex at all, standing with all my weight on one pedal you can't feel all that much torsional flex in the frame compared to older steel bikes. In the saddle it has quite a nice direct, stiff feel to it without feeling overly harsh. The weight is somewhat falsely advertised, the quoted weight is a shade under 2kg, however I weighed it in at 2.18kg which is significantly more. Personally I wasn't too concerned with weight, and 2.18kg is well within light weight for a steel frame, however listed weights should match with reality. The longer wheelbase at 1010mm combined with the slightly slacker head angle at 70.5º gives it a more relaxed, stable feel. It feels at home at high speed on tarmac or equally on gravel laden singletrack. It's not the tightest or quickest turning bike but it feels very stable in corners and down steep descents. I have the 50cm frame which has a short head tube which means you can set it up the cockpit in quite an aggressive posture. The BB height is a little higher than a standard road bike, presumably to give a little more clearance over rocks; this doesn't seem to detract from the handling from what I've noticed. The general feel of the frame is basically what I was after, not quite a race bike but certainly able to tackle a variety of surfaces. The larger tyre size it is designed for as well as the slightly more relaxed geometry gives it stability on rougher surfaces. The inclusion of disk brakes means that the chainstays have to be longer at 425mm than usual to afford proper heel clearance, however one thing I have noticed is that occasionally I do still rub them with my heels when using flat shoes. As you can see there isn't too much room between the crankarms and the chainstays, heel rub is minor issue though as when I'm clipped into SPDs this is not really a problem. I think an improvement would be a slight bow to the chainstay to give it more clearance in this zone. The brake cable mounts are versatile, so fitting hydraulic lines at a later date is easy. The frame is quite adaptable, as I recently fitted a front rack and handlebar bag, the front rack is a Nitto M18 which has lower struts which fix to the lowrider mounts. 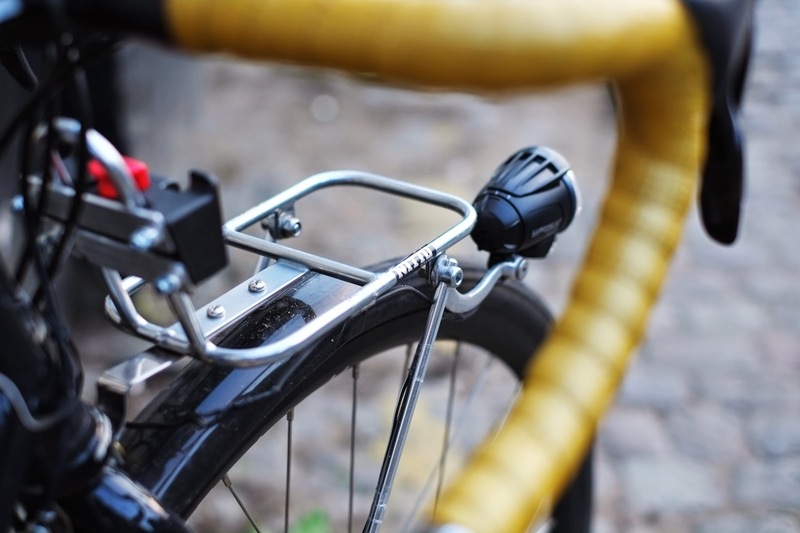 There are actually few bikes apart from full blown touring bikes that have these mounts. Although the trail and head angle aren't optimised for a front load, the steering isn't too affected when up to speed, there is noticeably more front wheel "flop" at very low speeds however. Generally I'm very happy with the frameset, it is a fair bit stiffer and more solid feeling that traditional lugged steel frame, however it still gives that characteristically supple steel ride. 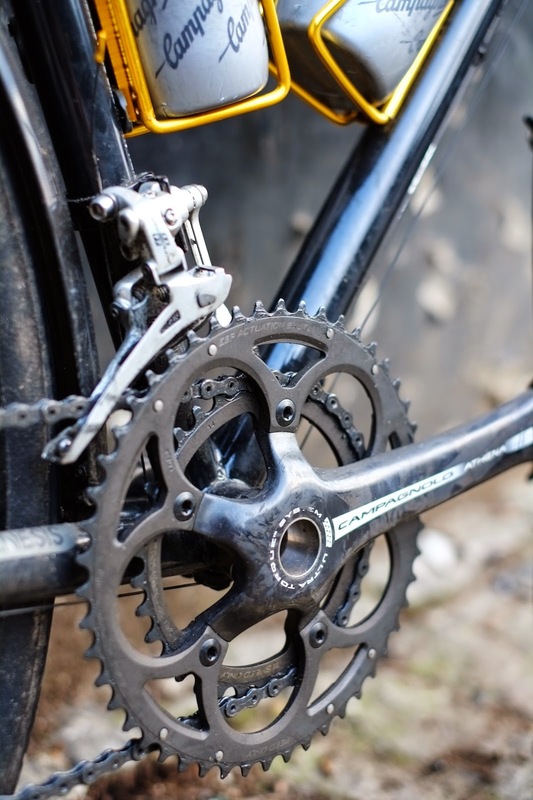 The fittings and interfaces of the frame are all standard which means that long term, there will be little problem finding spares or fitting replacement parts when things start to wear out. The strength of this bike is its versatility, being adaptable to most uses from straight road riding, touring and the odd off-road jaunt. Add to this that the RRP on the frameset is £375 and it's TIG welded Reynolds 725 tubing and you have a bargain. 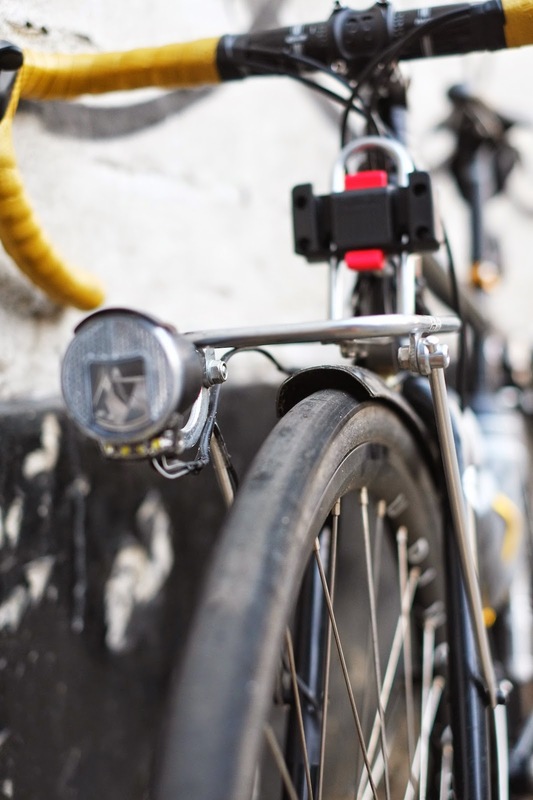 The only criticisms I would add are that the front fork has a tight spot in tyre clearance just underneath the crown which limits maximum tyre size, also the minor issue of heel rub which could be improved by bowing the chainstays. The build has generally turned out how I had intended with the bike fitting the bill perfectly. My only regret is that I didn't get the 2015 model which as just been announced. This comes with a carbon fork and horizontal front dropouts which are more improvements on an already great bike. How come you'd prefer a carbon fork? 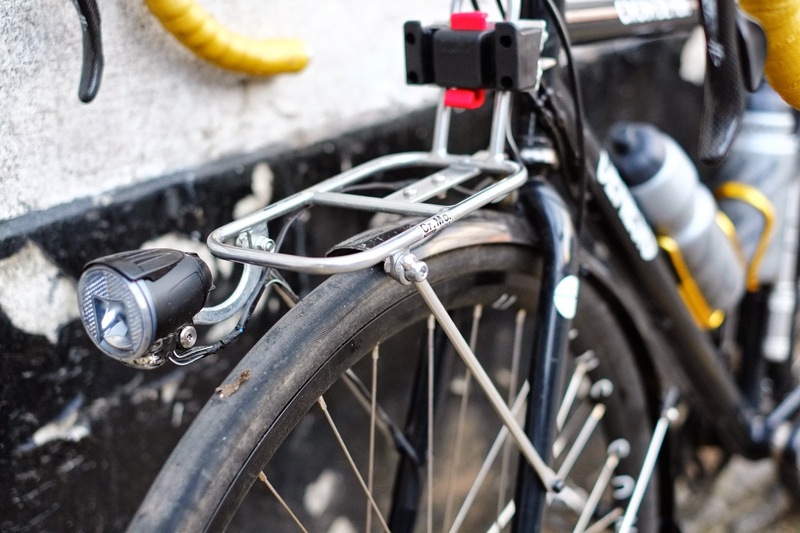 Don't you think that the steel one will last a bit longer and be more comfortable to ride? Thanks for your blog BTW - very useful as I'm building my own! Also, any chance you could let me know what length Jagwire you needed for the brake cables? I was guessing about 2m for the rear one? 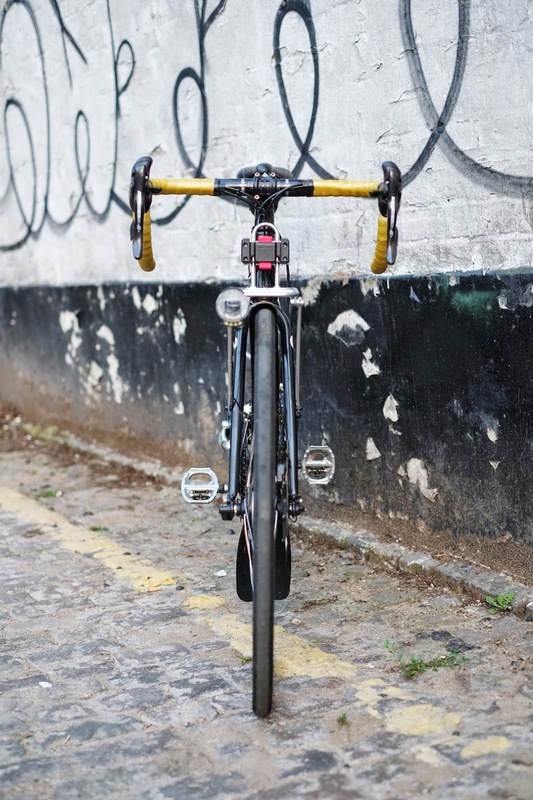 I'd prefer the carbon fork more for the bling factor as well as slightly less weight. Longevity is probably better with steel but comfort is probably the same. Yes the rear brake cable is the extra long one, 2.0m is safe. I had to get the special Jagwire kit for full length rear brake cable. Hi I was just admiring your bike built And was wondering about the wheels. 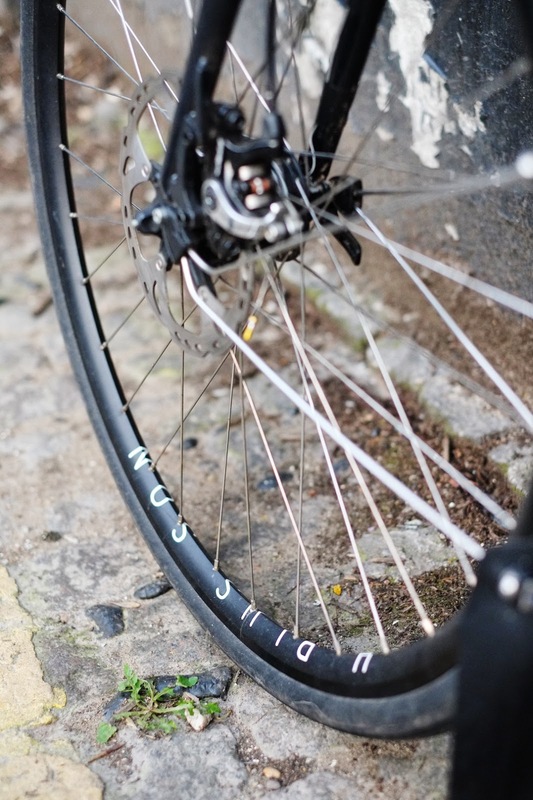 I notice they are hplussons-!i love them but what rear hub did you use. I have been trying to find a similar pair but it's not way to get one for the 135 mm spacing. Was this a custom built wheel? G'day, I'd like some info on your front bar-bag mount on the Nitto M18. Looks like a Rixon &Kaul (Klick-fix)? Was the attachment to the M18 custom or kit? 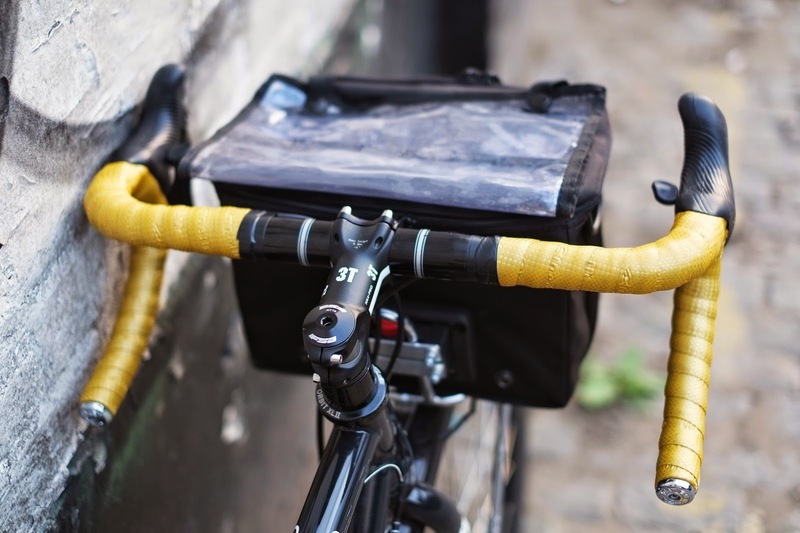 I ask as I've a Velo Orange Pass Hunter rack which looks similar and I'm wondering if I can emulate your set up with my Ortlieb Ultimate bag which is currently hanging off a Thorn Adapter below my handlebars. It would be nice to be able to ditch the Thorn Accessory T Bar. I should have looked harder before I asked. Really good reading by the way! Thanks, I'm not too sure of the weight but with all bits and pieces I'd estimate around 12kg or so. Am looking to do a drop bar conversion but am running into issues with the brake/gear combo. Am on separate levers for shifting/braking at the moment but would like to go to STI country - however it appears the brake pull on my present discs are too long for the STI's which is looking like an expensive job all round (new calipers at the very least as well as bars, stem, STI's etc) so it might not be worth the hassle - apart from the fun of doing it!! Great read on your blog by the way - I live up near the Lakes and it's fantastic for cycling and walking. I have honestly never contemplated Wrynose/Hardknott in anything but the Landy! 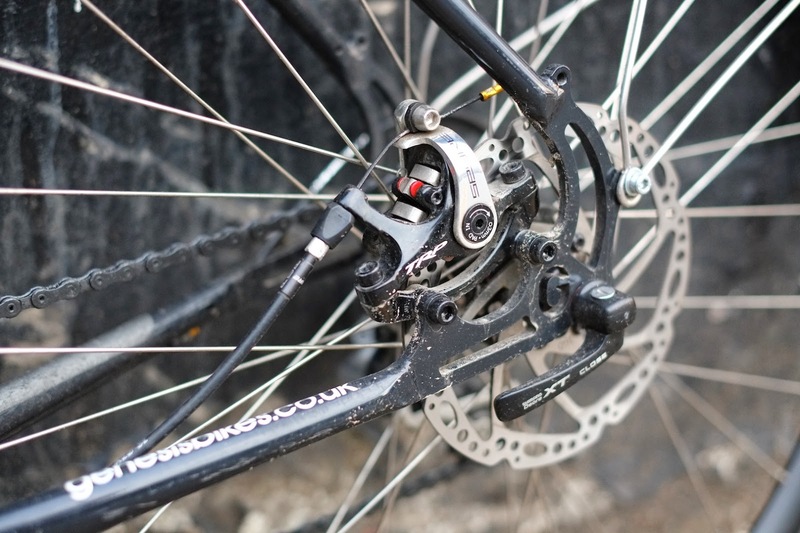 I do love my disc brakes, I find one of the best things apart from the modulation and power is that it really helps with hand fatigue if you ever do long descents and/or steep descents where you have to brake a lot. Hardknott/Wrynose is one example! Hey there, I'm a little bit taller than you and abotu the same inseam, however Genesis changed all the geometry the year after this one. I decided on the sizing based on the top tube length to start off with and then added the stem and handlebar reach to get to my overall reach distance. Hope that helps! which nitto front rack have you got there?